The classical elegance of the Regency period in England is considered one of the most sophisticated and refined moments in design history. 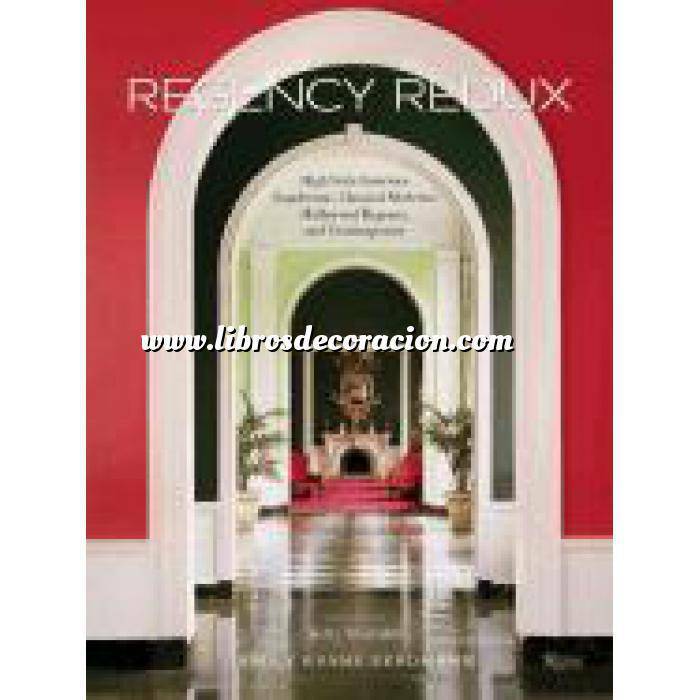 Throughout the twentieth century, designers took elements of the Regency vocabulary and restyled them to meld with the reigning design aesthetic of the day to extraordinary effect. The book opens with an introduction to the original Regency period, which built its sophisticated aesthetic on the example of the Neoclassical style of Napoleon’s time. It then picks up with the Art Deco designs of Emile-Jacques Ruhlmann and Süe et Mare in France. By the 1930s, the Vogue Regency returned home to England where Sibyl Colefax and Syrie Maugham created stylized classical interiors. In America, the Regency revival took hold in Hollywood on the lavish film sets of the 1930s and ‘40s. Designers and architects to the stars such as Billy Haines and T.H. Robsjohn-Gibbings made a mark with their work for the Hollywood elite. The book concludes with Regency fashions of the 1930s and ‘40s, when Dorothy Draper and Elsie de Wolfe cut a stylish swath with their Regency-infused designs from coast to coast. Rounding out the vintage interiors are designs by acclaimed contemporary designers. Each chapter is illustrated with a rich selection of images of interiors, film sets, and furniture.